Perfect to use in nail art! 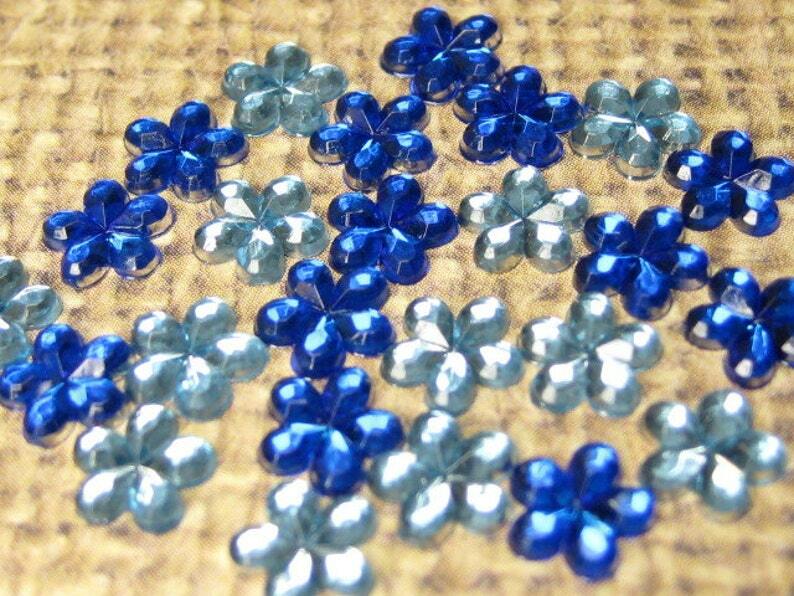 These 6mm faceted acrylic flower rhinestone gems will add sparkle to your various crafts and projects. This is a really pretty mix of 25 pieces in both light blue & Royal blue. Exact quantity per color may vary slightly, but both colors will be included in your mix. Great inside your resin jewelry! Can be used for scrapbooking and cardmaking. Decorate a phone case, let your imagination be your guide!